Back in 2013, I embarked on a year-long quest where I completed fifty-two challenges over the course of the year – one challenge for every week. I blogged the entire event starting on January 1st, 2013 and have continued blogging ever since. That project was only meant to be a personal mission. It was a way to show my holistic health clients that they could do anything they wanted if they believed enough in their dreams. Instead, the challenge changed my life in so many ways. In 2014 I published my first book, How I Changed My Life in a Year based on my year of challenges. It went on to hit the number one spot on Amazon’s best seller list in self-help and memoir, and in 2016 it attracted the attention of Penguin Random House. Since then so much has changed for me. I fell ill following a viral infection caused by an insect bite which in turn began to affect my body, energy levels, and mood. I had to close my holistic health business as there were days I woke up without the use of my arm and hand. It’s been a tough struggle at times, and along with the symptoms of my illness I also had to deal with depression and anxiety – something I’ve self-managed for over eighteen years. However, I have always clung to positivity and self-help as a way to look after myself, physically and emotionally. Writing is another personal development tool that I find hugely cathartic. I adore penning my YA fiction as this acts as an escape from reality when I need it. My non-fiction books, however, are my way of sharing what I’ve learned, and the journey I took to get where I needed to be – the good and bad bits. Perhaps this is why How I Changed My Life in a Year was so successful, as people could relate to my story on a personal level. After such a turbulent time, I’m now delighted to announce that my next non-fiction book, dubbed the sequel-that’s-not-a-sequel, How I Motivated Myself to Succeed: Top Motivation Tips for Life, Happiness, Changing Habits and Releasing Fears will be released on Friday 22nd September 2017 but is available for pre-order now. I’d also like to take this opportunity to share the incredible cover, designed by my friend and fellow self-help author, Peter Jones from Soundhaven. Look out for the blog tour in September and feel free to drop a message in the comments below and let me know what you think of the cover, blurb, topic, or anything else you feel drawn to share. Congratulations Shelley and I’m really looking forward to that blog tour! Best of luck Shelley. Looks fab. One query in your first para: 52 challenges in a year… one per month? This is so exciting Shelley! I love the fact that she’s wearing a cape on the cover – isn’t that just how we all feel on productive days? Congratulations! I love self-help and look forward to reading your new release in September Shelley! Also–the look of your site is so appealing to me. I’m going to peek around some more. Brilliant Shelley. Looking forward to reading it! 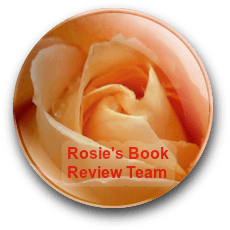 If you want to call in to We are Holistic during your blog tour, just let me know! Love! Shared. Will order. Congratulations! 🙂 Already got your Oath Breaker and am looking forward to TIME to read all these.